Welcome back to our annual series of newsletters leading up to the 2018 Japan Cup (G1, 2,400m). 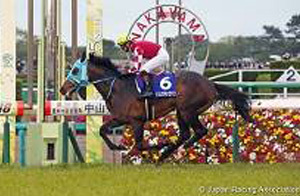 The fall racing season is heading towards the Japan Autumn International Series, which will be held over four weekends between November 11 and December 2 and comprise four prestigious G1 races: the Queen Elizabeth II Cup (G1, 2,200m), the Mile Championship (G1, 1,600m), the Japan Cup and the Champions Cup (G1, dirt, 1,800m). Total prize money for the four G1 events will amount to \1.33 billion (US$12.1m), with additional bonuses for winners of designated overseas G1 events who also finish within the top three in any of the four races. Also, winners of designated overseas races who finish outside the top three places in the Japan Cup will still be guaranteed an incentive of US$100,000. Cheval Grand (JPN, H6, by Heart's Cry) entered the 2017 Japan Cup as fifth favorite and succeeded under Hugh Bowman for his first G1 title. 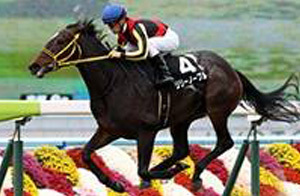 He defeated the season's Tokyo Yushun (Japanese Derby, G1, 2,400m) victor Rey de Oro (JPN, C4, by King Kamehameha) as well as Horse of the Year and race favorite Kitasan Black (JPN, by Black Tide), who finished second and third, respectively. Four lengths behind in fourth was 2016 derby winner Makahiki (JPN, H5, by Deep Impact), followed by Idaho (IRE, H5, by Galileo), the top finisher among foreign contingents in fifth. 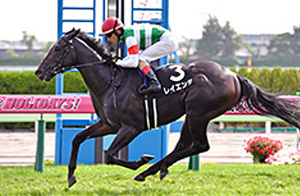 Kitasan Black, who dominated turf racing in Japan the last couple of years before capping off a stellar career with his last G1 victory in the Arima Kinen (G1, 2,500m), has begun a new life at stud. The remaining three are still in training but only Rey de Oro has managed to come up with a win this season. Cheval Grand, who encountered disadvantages and finished third in the Arima Kinen, kicked off this season in the Osaka Hai (G1, 2,000m), a step down from his ideal distance, and finished 13th. He was in great form for his spring target, the Tenno Sho (Spring) (G1, 3,200m), where he took command from a forward position at the straight but was caught at the wire by fast-closing Rainbow Line (JPN, by Stay Gold) and finished a neck second. 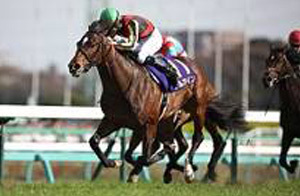 The son of Heart's Cry (JPN, by Sunday Silence) is scheduled to follow the same fall campaign as last year, beginning with the Kyoto Daishoten (G2, 2,400m) on October 8 before the Japan Cup and the Arima Kinen. Rey de Oro finished third and fourth in two starts this spring. For the Kyoto Kinen (G2, 2,200m), which was raced on softer going, Rey de Oro had to change riders after his regular partner, Christophe Lemaire, was suspended. 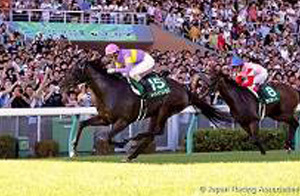 In the following Dubai Sheema Classic (G1, 2,410m), the King Kamehameha (JPN, by Kingmambo) colt had trouble adapting to an extremely slow pace, starting strong but failing to use his trademark late charge to finish fourth against other front runners who had plenty left after running unpressured. Returning from a summer break following a frustrating spring campaign, the four-year-old bounced back to score his first win of the season in the All Comers (G2, 2.200m) on September 23, where the race favorite, who was positioned fifth from last early, gained ground on the leaders from between horses then out-dueled Al Ain for a neck victory. 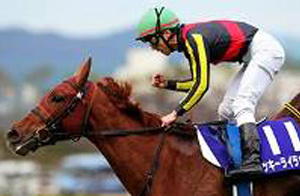 While his partnership with Lemaire is uncertain because the popular jockey has committed to a number of other prominent mounts, Rey de Oro will likely head for the Tenno Sho (Autumn) (G1, 2,000m) on October 28 and the Japan Cup after that. Makahiki, having sustained a fracture in his left hind leg last December, was sidelined the entire spring during a nine-month break but came back in the Sapporo Kinen (G2, 2,000m) on August 19 and turned in an impressive runner-up effort. 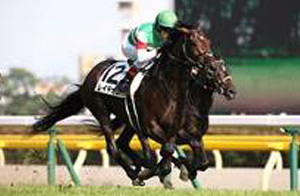 Near the rear behind a solid pace, the son of Deep Impact (JPN, by Sunday Silence) roared up the outside and just missed by a nose to Sungrazer (JPN, C4, by Deep Impact). 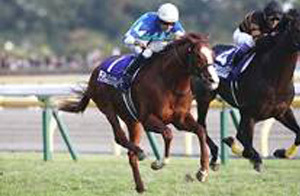 Makahiki had struggled after a heavy defeat as a three-year-old in the 2016 Prix de l'Arc de Triomphe (G1, 2,400m), but since returning to Japan has consistently finished within sixth place in all six starts. His latest performance demonstrated that he is well on his way to full recovery, so a good showing in the Tenno Sho (Autumn) could indicate his readiness for the Japan Cup. 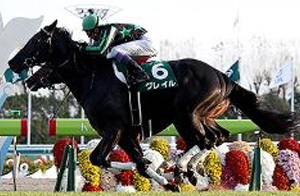 Among other Japan Cup starters of last year, sixth-place Rainbow Line was impressive this spring with back-to-back wins in the Hanshin Daishoten (G2, 3,000m) and the Tenno Sho (Spring), but a fracture in his right foreleg after the latter forced him to retire from racing. 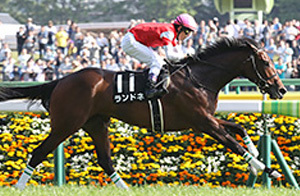 Tenth-place Satono Crown (JPN, H6, by Marju) won praise for his G1 victories in the 2016 Hong Kong Vase (G1, 2,400m) and the 2017 Takarazuka Kinen (G1, 2,200m) but recent performances have not been encouraging – 13th, seventh and 12th in three starts after the Japan Cup. 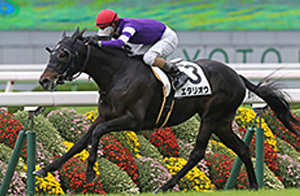 He will head for either the Tenno Sho (Autumn) or the Japan Cup this fall. 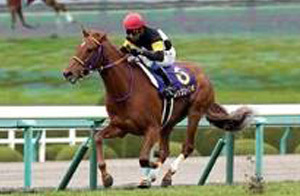 Twelfth-place Sounds of Earth (JPN, H7, by Neo Universe), while winless for quite some time, has been competitive in graded races with seven runner-up efforts against the top turf runners, but he failed to show much in the Japan Cup last year and capped off the season finishing seventh in the Arima Kinen. 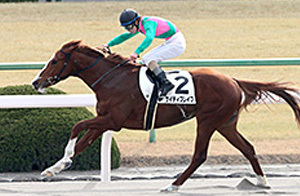 The son of Neo Universe (JPN, by Sunday Silence) was also disappointing in the Meguro Kinen (G2, 2,500m) in May, but showed improvement in the Sapporo Kinen by crossing the wire 0.1 second behind the winner in fourth. 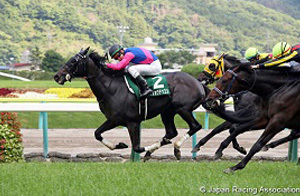 His next start will be the Mainichi Okan (G2, 1,800m) on October 7. Possible newcomers that could be a threat in this year's Japan Cup include Suave Richard (JPN, C4, by Heart's Cry) and Mikki Rocket (JPN, H5, by King Kamehameha). 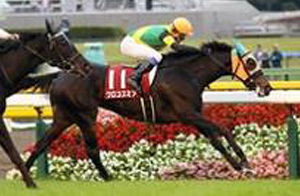 Suave Richard was runner-up in the 2017 Tokyo Yushun and bested a field of older rivals in the Copa Republica Argentina (G2, 2,500m). 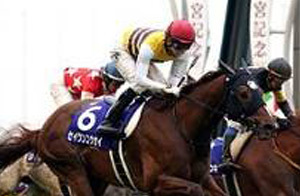 Despite his weakness on right-handed tracks, he still managed to finish a close fourth in the Arima Kinen. 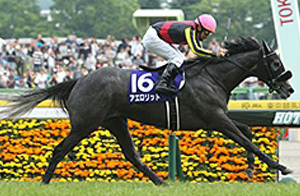 This season, he kicked off his four-year-old campaign with a victory in the Kinko Sho (G2, 2,000m). 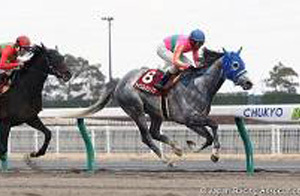 He landed his first G1 title in the following Osaka Hai, also right-handed, making early headway from the rear, overtaking the field on the backstretch, hugging the rails and prevailing under Mirco Demuro for a 3/4-length win. 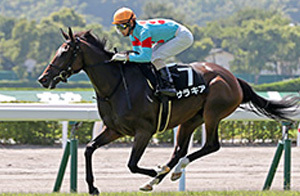 He concluded his spring campaign with a third at a mile in the Yasuda Kinen (G1, 1,600m), but likely will step up in distance again this fall, including the Tenno Sho (Autumn) prior to his first Japan Cup. 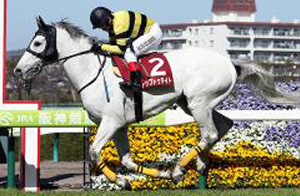 Mikki Rocket, a fifth-place finisher in the 2016 Kikuka Sho (Japanese St. Leger, G1, 3,000m), scored his first grade-race title in his four-year-old debut, the Nikkei Shinhun Hai (G2, 2,400m), but was unable to finish better than sixth in three G1 starts that season. 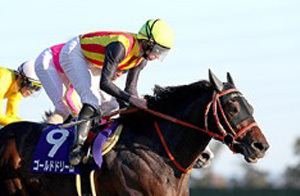 The son of King Kamehameha progressed well in his five-year-old season, finishing fourth in the Tenno Sho (Spring) as ninth favorite and then reaffirming his form to win the Takarazuka Kinen as the seventh favorite. He edged forward from mid-division, took command in the early stretch and held off a strong charge by Hong Kong raider Werther (NZ, G7, by Tavistock) for a neck win. 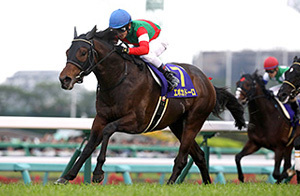 His intended fall comeback in the Kyoto Daishoten was cancelled due to a conditioning delay, so he will head straight to his three G1 targets – the Tenno Sho (Autumn), the Japan Cup and the Arima Kinen. Definite Tenno Sho (Autumn) entries, although still uncertain for the Japan Cup, are being watched closely. Sungrazer won the Sapporo Kinen, his first start in 1-1/2 years at 2,000 meters, having raced mainly between 1,400 and 1,600 meters, including his first grade-race victory in the 2017 Swan Stakes (G2, 1,400m) and a third-place finish in the Mile Championship (G1, 1,600m). 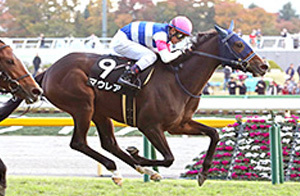 He continues to excel over a mile, scoring another grade-race title in the Milers Cup (G2, 1,600m) in April and a close fifth in the Yasuda Kinen, but will be tested by the extended distance of the Tenno Sho (Autumn). 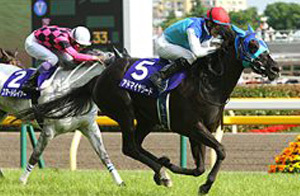 Danon Premium (JPN, C3, by Deep Impact) was undefeated in three starts as a two-year-old and continued with his fourth career win in his three-year-old debut, the Yayoi Sho (G2, 2,000m). 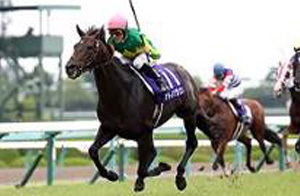 Forced to pass up the Satsuki Sho (Japanese 2000 Guineas, G1, 2,000m) with a stone bruise, he tasted his first defeat when finishing sixth in his comeback, the Tokyo Yushun. His connections remain positive with his progress and are preparing the 2017 Best Two-Year-Old Colt for the Tenno Sho (Autumn). Al Ain (JPN, C4, by Deep Impact), winner of the 2017 Satsuki Sho, has been consistent this year, finishing second in the Kyoto Kinen, third in the Osaka Hai, fifth in the Queen Elizabeth II Cup (G1, 2,000m) in Hong Kong and just missing by a neck in second to Rey de Oro in the All Comers. Vivlos (JPN, M5, by Deep Impact), winner of both the 2016 Shuka Sho (G1, 2,000m) and the 2017 Dubai Turf (G1, 1,800m), was second in the Dubai Turf this year and fourth when stepping up in distance in the Takarazuka Kinen (G1, 2,200m). Notably, she was also defeated to fifth over the same distance in the fall 2017 Queen Elizabeth II Cup (G1, 2,200m). While she will be targeting the Tenno Sho (Autumn) to start her campaign this fall, she is expected to step down for the Mile Championship and then the Hong Kong Mile (G1, 1,600m). 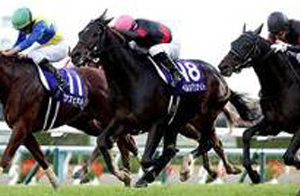 The Sprinters Stakes (G1, 1,200m), the first G1 event of the fall, will take place at Nakayama on September 30. The race, which has attracted many foreign contenders over the years, will welcome Hong Kong’s Lucky Bubbles (AUS, G7, by Sebring) this year. The 2017 Chairman’s Sprint Prize (G1, 1,200m) champion will face defending champion Red Falx (JPN, H7, by Swept Overboard), who will be aiming at an unprecedented third consecutive title. 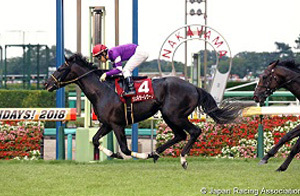 However, the son of Swept Overboard (USA, by End Sweep) has been struggling after finishing third in his seven-year-old kick-off start, the Hankyu Hai (G3, 1,400m) and then eighth and ninth his next two starts – the Takamatsunomiya Kinen (G1, 1,200m) and the Yasuda Kinen, respectively. Fine Needle (JPN, H5, by Admire Moon), winner of the Takamatsunomiya Kinen in March, was fourth in his first overseas challenge, the Chairman’s Sprint Prize, and then took a break upon his return to Japan. He bounced back to form to win his comeback in the last leg of the Summer Sprint Series, the Centaur Stakes (G2, 1,200m) on September 9, looking well poised for a sprint G1 double. 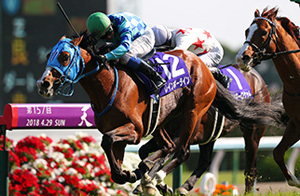 Seiun Kosei (JPN, H5, by Admire Moon), winless in seven starts after a victory in the 2017 Takamatsunomiya Kinen, captured his second grade-race title in the first leg of the Summer Sprint Series, the Hakodate Sprint Stakes (G3, 1,200m), on June 17. 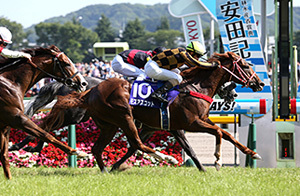 The Summer Sprint Series champion Ares Barows (JPN, H6, by Deep Impact) won the CBC Sho (G3, 1,200m) on July 1 and the Kitakyushu Kinen (G3, 1,200m) on August 19. 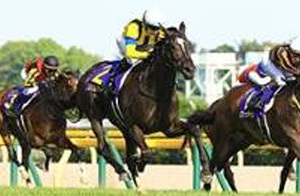 Daimei Princess (JPN, M5, by King Halo) won the Ibis Summer Dash (G3, 1,000m) on July 29, while Nac Venus (JPN, M5, by Daiwa Major) won the Keeneland Cup (G3, 1,200m) on August 26 to go along with a third-place finish in this year's Takamatsunomiya Kinen. 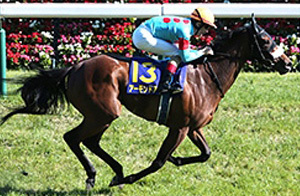 The Sprinters Stakes lineup will also include Let's Go Donki (JPN, M6, by King Kamehameha), who is coming off a fifth-place finish in the Keeneland Cup and three strong runner-up efforts in her past JRA sprint G1 events. 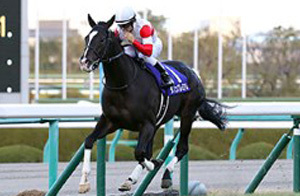 Among those aiming for the Queen Elizabeth II Cup on November 11, several four-year-olds or older will be running in the Fuchu Himba Stakes (G2, 1,800m) on October 13, including 2017 Queen Elizabeth II Cup champion Mozu Katchan (JPN, F4, by Harbinger). The Harbinger (GB, by Dansili) filly was sixth in the Dubai Sheema Classic in March and is coming off a third-place finish in the Sapporo Kinen. Crocosmia (JPN, M5, by Stay Gold), who came in second as an outsider in the 2017 Queen Elizabeth II Cup, was eighth in the Sapporo Kinen. 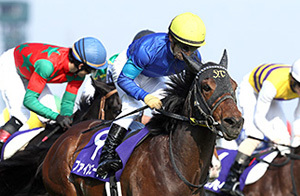 Two others will also head for the Queen Elizabeth II Cup after the Fuchu Himba Stakes. Lys Gracieux (JPN, F4, by Heart's Cry) was a runner-up in four G1 starts including the Victoria Mile (G1, 1,600m) in May and Soul Stirring (JPN, F4, by Frankel) has been 10th, seventh and third in races against fillies and mares this year after finishing seventh in the 2017 Japan Cup. 2017 Shuka Sho winner Deirdre (JPN, F4, by Harbinger) was third in the Dubai Turf and then won her first start back in Japan, the Queen Stakes (G3, 1,800m) on July 29. 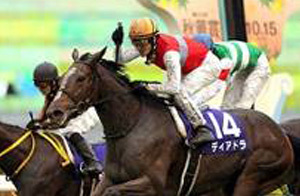 After starting in the Fuchu Himba Stakes, she is expected to run in the Hong Kong Cup (G1, 2,000m) in December. Following the Fuchu Himba Stakes, Admire Lead (JPN, M5, by Stay Gold) and Jour Polaire (JPN, M5, by Deep Impact), Victoria Mile winners in 2017 and 2018, respectively, will step down to a mile for the Mile Championship on November 18. 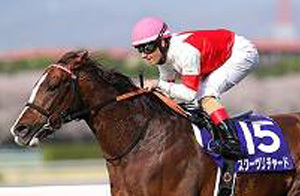 Red Avancer (JPN, M5, by Deep Impact), third-place finisher in the Victoria Mile, is expected to aim for the Mile Championship after the Fuji Stakes (G3, 1,600m) on October 20. Persian Knight (JPN, C4, by Harbinger) will attempt to defend his Mile Championship title after returning this fall in the Fuji Stakes. The Harbinger colt, who also proved effective at middle distances with runner-up efforts in two G1 starts at 2,000 meters – the 2017 Satsuki Sho and the 2018 Osaka Hai – was sixth in the Yasuda Kinen but is expected to stick to the mile this fall. 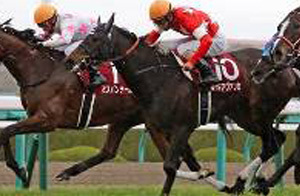 Yasuda Kinen victor Mozu Ascot (USA, C4, by Frankel) will head for the Mile Championship via the Swan Stakes (G2, 1,400m) on October 27, and then face international competition in the Hong Kong Mile. 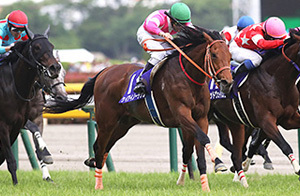 Keiai Nautique (JPN, C3, by Deep Impact), who bested the three-year-olds in the NHK Mile Cup (G1, 1,600m), will face his seniors for the first time this fall in the Mainichi Okan, after which his connections will decide whether to step up in distance or stay at a mile. 2017 NHK Mile Cup victor Aerolithe (JPN, F4, by Kurofune), who finished second in the Yasuda Kinen this spring, has options including the Tenno Sho (Autumn), the Queen Elizabeth II Cup and the Mile Championship, depending on the outcome of her next start, the Mainichi Okan. Dirt racing continues to center around Gold Dream (JPN, H5, by Gold Allure), winner of last year's February Stakes (G1, dirt, 1,600m) and Champions Cup (G1, dirt, 1,800m). The 2017 Best Dirt Horse was just a neck short of a consecutive victory in this year's February Stakes but went on to back-to-back wins in the Kashiwa Kinen (dirt, 1,600m) and the Teio Sho (dirt, 2,000m). The son of Gold Allure (JPN, by Sunday Silence) has improved in rounding turns more tightly, which has enhanced his ability to win on various tracks. Nonkono Yume (JPN, G6, by Twining), who beat Gold Dream in this year's February Stakes, was fourth to the same foe in the Kashiwa Kinen. 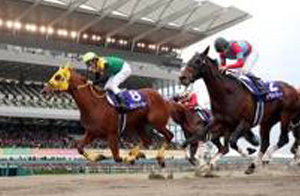 Both horses will meet again in the Mile Championship Nambu Hai (dirt, 1,600m) on October 8. 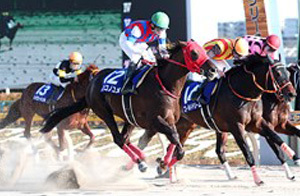 Meanwhile, Champions Cup runner-up T M Jinsoku (JPN, H6, by Kurofune) kicked off this season with a wire-to-wire victory in the Tokai Stakes (G2, dirt, 1,800m) but was heavily beaten to 12th in the February Stakes, and then struggled to sixth in his following two starts. The son of Kurofune (USA, by French Deputy) is hoped to bounce back to form in his fall debut, the Nippon TV Hai (dirt, 1,800m) on October 3. Among other top finishers in the 2017 Champions Cup, third-place finisher Copano Rickey (JPN, by Gold Allure) concluded his stellar career with a victory in the Tokyo Daishoten (G1, dirt, 2,000m). 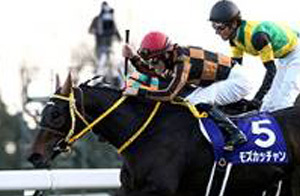 Fourth place K T Brave (JPN, H5, by Admire Max) was third in the Tokyo Daishoten and kicked off his five-year-old campaign with a victory in the Kawasaki Kinen (dirt, 2,100m) but found the mile distance in the February Stakes too short for his liking and disappointed to 11th. He bounced back to win his next Diolite Kinen (dirt, 2,400m), and then followed up with a runner-up effort in the Teio Sho. He will make his fall comeback in the Nippon TV Hai. 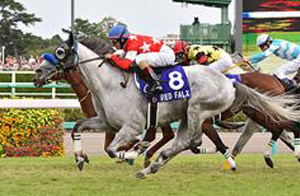 Fifth-place Awardee (USA, by Jungle Pocket) died from an accident after being turned out to pasture in August. 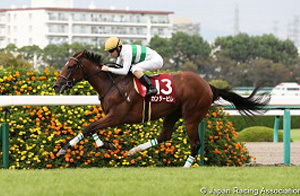 The 2016 Champions Cup winner Sound True (JPN, G8, by French Deputy), who disappointed to 11th in the 2017 edition of the race, regained form to finish runner-up in his next race, the Tokyo Daishoten, and has been strong this season, finishing third in the Teio Sho in June. Le Vent Se Leve (JPN, C3, by Symboli Kris S), the standout among the three-year-olds on dirt, has registered five wins – including the Zen-Nippon Nisai Yushun (dirt, 1,600m), the Unicorn Stakes (G3, dirt, 1,600m) and the Japan Dirt Derby (dirt, 2,000m) – and a second out of six career starts. He will be facing his seniors for the first time in the Mile Championship Nambu Hai. While the majority of grade races held by the JRA is on turf, racing on National Association of Racing (NAR; local public racing) tracks is mainly on dirt. Many of the big dirt events are held at regional tracks, including the JBC, which is a championship festival with three G1 events – the JBC Classic (dirt, 1,900m), JBC Sprint (dirt, 1,200m) and JBC Ladies' Classic (dirt, 1,800m) – which are held on a single day and hosted by different tracks year to year. This year, to help popularize JBC and dirt racing among a broader range of fans, the event will be hosted by the JRA for the first time and held at Kyoto Racecourse on November 4. Steeplechase racing has been dominated by 2016-17 Best Steeplechase Horse Oju Chosan (JPN, H7, by Stay Gold) in recent years. 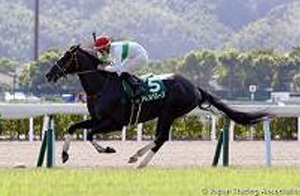 The son of Stay Gold (JPN, by Sunday Silence) not only accomplished a third consecutive victory in the Nakayama Grand Jump (J-G1, 4,250m) in April, he also demonstrated his speed on the flat in July by winning the Kaiseizan Tokubetsu (2,600m), his third career start on the flat. The steeplechaser-turned-flat runner was invited to the G1 Prix du Cadran (4,000m) in France but decided to test his strength against the best in the year-end Arima Kinen. Meanwhile, 2015 Best Steeplechase Horse Up to Date (JPN, H8, by Kurofune), after later being dethroned by Oju Chosan, is working his way back to the top now that his nemesis has moved on to flat racing. 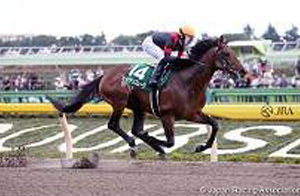 The son of Kurofune was runner-up to Yokagura (JPN, G5, by Harbinger) in the Kokura Summer Jump (J-G3, 3,390m) in July and then claimed the following Hanshin Jump Stakes (J-G3, 3,140m) on September 15. 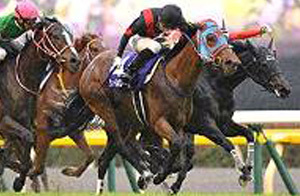 Almond Eye (JPN, F3, by Lord Kanaloa) has attracted the most attention among three-year-old males and females this season. The speedy Lord Kanaloa (JPN, by King Kamehameha) filly came off her first grade-race victory in the Shinzan Kinen (G3, 1,600m) in January and went straight into the Oka Sho (Japanese 1000 Guineas, G1, 1,600m) three months later, where she roared through the homestretch from way behind to pull away for a 1-3/4-length victory. 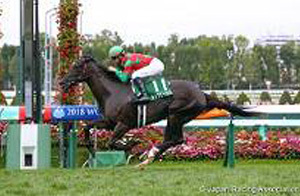 In the following Yushun Himba (Japanese Oaks, G1, 2,400m), she was quick out of the gate to run around sixth and then was uncontested once taking the front, ultimately crossing the wire in 2:23.8 over the 2,400-meter course, the race’s second-fastest time ever. Sired by internationally recognized sprinter Lord Kanaloa, who won five G1 titles at 1,200 meters as well as the Yasuda Kinen, the first crop filly brushed away concerns about longer distances and gave her sire his first Classic title. 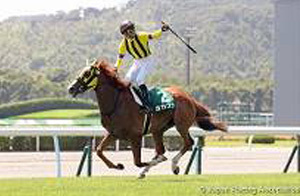 She is expected to head straight to the last leg of the fillies’ Triple, the Shuka Sho, on October 14, in her bid to become the season’s triple-crown winner. The 2017 Best Two-Year Old Filly, Lucky Lilac (JPN, F3, by Orfevre), and Lily Noble (JPN, F3, by Rulership), who traded second and third places in the first two legs of the Triple, were both expected to make their fall debuts in the Shuka Sho. Lily Noble, however, came up with a tendon injury in her left foreleg to force a rescheduling of plans. While the proven contenders slated for the Shuka Sho are taking their time in preparation, competition began in earnest for the remaining berths in this fillies' G1. 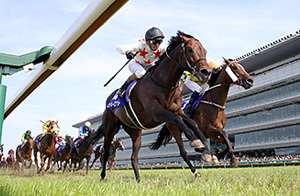 In the Shion Stakes (G3, 2,000m) on September 8, Normcore (JPN, F3, by Harbinger) turned in an overwhelming victory after a break following a third in the Floral Stakes (G2, 2,000m) in April to allow the slow-developing filly to grow. 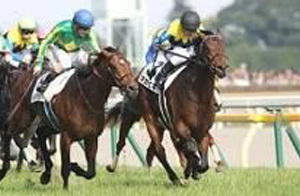 Three lengths behind in second was Mau Lea (JPN, F3, by Deep Impact), who was third in the Hanshin Juvenile Fillies (G1, 1,600m) as a two-year-old and fifth in both the Oka Sho and the Yushun Himba. The Deep Impact filly, however, pulled up from the race with a sprained foreleg and will not be able to start in the Shuka Sho. Randonnee (USA, F3, by Blame) was another 1/2 length back in third. 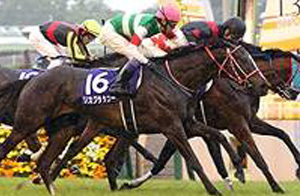 Cantabile (JPN, F3, by Deep Impact ) bounced back from 13th in her previous start, the Yushun Himba, looking much better suited to the shorter distance and scoring her second grade-race title in the Rose Stakes (G2, 1,800m) on September 16. The other two top places (all three qualified for the Shuka Sho) were also dominated by two Deep Impact offspring – Salacia (JPN, F3), second by 1-1/4 lengths, and Lathyros (JPN, F3), who was another half-length behind in third. Epoca d'Oro (JPN, C3, by Orfevre) gave a strong performance to best the three-year-old colts in the Satsuki Sho, but missed his second title when attempting a wire-to-wire victory after being pinned by Wagnerian (JPN, C3, by Deep Impact) just before the wire to finish second by half a length. The two classic winners both kicked off their fall campaigns in a Kikuka Sho trial – the Kobe Shimbun Hai (G2, 2,400m) on September 23. Wagnerian made ground impressively from the outside after racing well off the pace early to pin down Radio Nikkei Sho (G3, 1,800m) victor Meisho Tekkon (JPN, C3, by Manhattan Cafe) and then held off a fast closing Etario (JPN, C3, by Stay Gold) for a half-length victory over the Stay Gold (JPN, by Sunday Silence) colt. 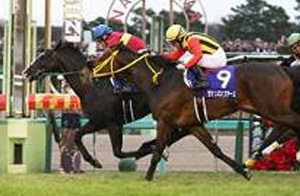 Meisho Tekkon held on gamely to finish third by a head from Etario. Race favorite Epoca d'Oro stumbled out of the gate and, forced to race farther back than his usual position near the leaders, was unable to cause any serious threat in the race despite crossing the wire in fourth. The St. Lite Kinen (G2, 2,200m) on September 17, another trial one week before the Kikuka Sho, was won by Generale Uno (JPN, C3, by Screen Hero), who previously scored his first grade-race title in the Keisei Hai (G3, 2,000m) in January, was third in the Satsuki Sho in April but had disappointed to 16th in the following Tokyo Yushun. Leyenda (JPN, C3, by King Kamehameha), the St. Lite Kinen favorite and full brother to 2017 derby winner Rey de Oro, broke from an outside draw and closed strongly from mid-field but didn't quite have enough and finished 1-1/4 lengths in second. Grail (JPN, C3, by Heart's Cry) made ground rapidly from way behind to cross the wire in third.